Two police officers were killed and about 20 wounded in two explosions in the Russian North Caucasus republic of Dagestan. First, a female suicide bomber blew herself up near a police station in the village of Gubden. 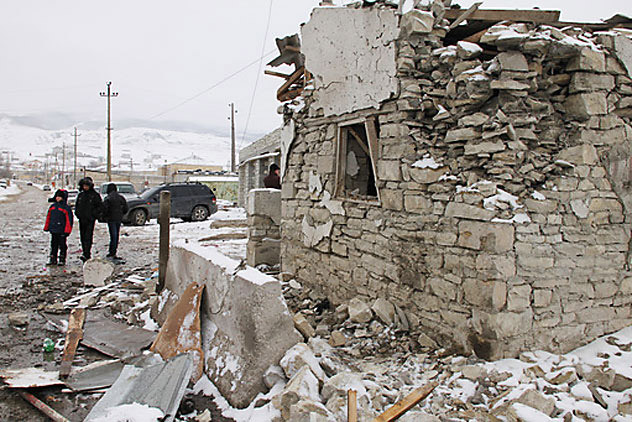 In a short while, a car, stopped at the Gubden checkpoint for an inspection by security guards, exploded.Terrorist attacks and shootouts with police are common in Russia's troubled North Caucasus republics, especially Dagestan and neighboring Chechnya and Ingushetia.